It’s easy to be skeptical when it comes to athletes in professional sports. In a world where players earn millions, owners earn billions, and loyalty is considered an old fashioned term, you can understand why. But when it comes to Bo Horvat and the city of Vancouver, things seem different. He’s a throwback. 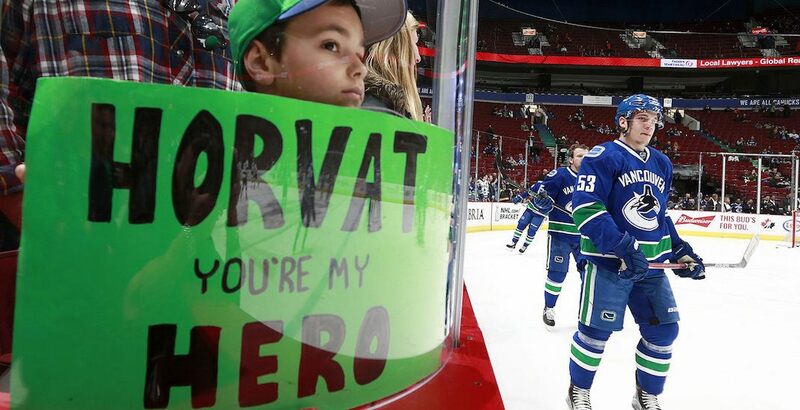 After signing a brand new six-year contract with the Canucks on Friday, Horvat took to Twitter to express his delight with the city of Vancouver. A pessimist would say Horvat has 33 million reasons to be happy about staying in Vancouver, but that would be missing the point. Not many players have managed to excite the fanbase in the last few years, but Horvat has. He came to town in difficult circumstances, as the team crumbled from its spot with National Hockey League’s elite teams. He was traded for Cory Schneider. All Horvat has done since being drafted ninth overall by the team in 2013 is work hard, stay out of trouble, and surpass expectations each season. And he’s done it with youthful enthusiasm and class that’s been a refreshing site to see. Now, what does he have for an encore? With a new contract will come new responsibilities and increased pressure. If the past is any indication, he’s ready for it.